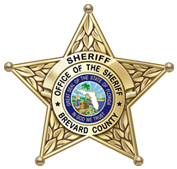 The Brevard County Jail Complex is owned and maintained by the Board of County Commissioners and is operated by the Sheriff. 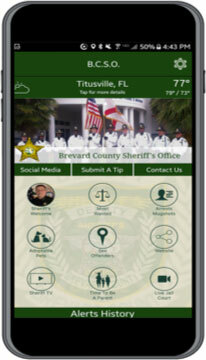 The Jail is accredited through the Florida Corrections Accreditation Commission. The main jail opened in 1986 with beds for 386 inmates. Today, the Jail Complex routinely houses over 1,500 inmates daily. The Jail Complex consists of a Booking area, Housing areas, Medical Ward, Laundry facility, Courtroom, Visiting areas, Recreation area, and office/support areas. In addition to the maximum security main jail, there are three tents housing inmates (with a fourth tent to open at a later date), a Women’s Jail, and a mental health/medical facility that opened in 2008. This will bring the total number of permanent beds to 1701. Brevard County has been embroiled in a Federal Lawsuit regarding the jail since 1983 due to overcrowding conditions. The Board of County Commissioners conducted several unsuccessful Voter Referendums to expand the jail during the 1980’s, 1990’s and 2002 to seek additional tax funding to expand the Jail Complex. In early 2005 the Sheriff’s Office proposed a 700 bed jail expansion plan which included the use of Sprung tents to reduce costs. The proposal was approved by the Board of County Commissioners and is expected to save taxpayers in excess of 30 million dollars over conventional construction methods. The Sheriff’s Office expansion plan consists of four separate 100 bed Sprung tent-like structures, a new Medical/Mental Health Dormitory designed for 300 inmates, conversion of a Jail Annex to a Women’s Jail, a new Laundry/Search Facility, an expanded Booking area and an expanded Food Services area at an estimated cost of $17 million. All major constructions projects have been completed.